In the six weeks between mid-August and late September of 2017, hurricanes Harvey, Irma, Nate, and Maria battered more than 100 counties in Florida, Puerto Rico, Texas, U.S. Virgin Islands, and other southeast states. Collectively, the effects of the hurricanes resulted in over $350 billion in damages. Four weeks later, in October, at least 10,000 structures were damaged or destroyed by wildfires in areas of northern California. Finally, this December, central California neighborhoods have been scorched or under threat of wildfires as more than 9,000 fire fighters battle the flames. The magnitude of the hurricanes and wildfires in 2017, and the damage to property that followed, presented a series of challenges for professionals in the mortgage servicing industry. Naturally, goals include the quick mobilization of vendors to perform occupancy inspections, report property condition, reach borrowers, and carry out necessary and/or regularly scheduled inspections and property preservation work. 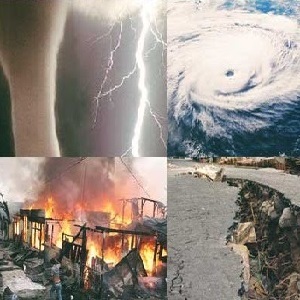 This year, the scale of the natural disasters, and that they occurred in quick succession, tested field services providers strategies to manage vendors, timelines, and client expectations. However, those challenges also present an opportunity to examine areas of concern and propose solutions to better manage inspection and preservation workflows before, during, and after natural disaster events. Being prepared, yet flexible, is key to managing the needs of client expectations and the overall workflow during unpredictable weather events. When a large number of assets are damaged or destroyed by a natural disaster it is common for loan servicers to request disaster inspections for all of their assets in their portfolio regardless of the status of the loan. The combination of the increase in work order requests with the decrease of available vendors is always challenging during a natural disaster, however, the scale of the events from August through October presented monumental complications. For instance, more than 148,000 homes in Texas were damaged or destroyed during Hurricane Harvey according to the Texas Division of Emergency Management. Additionally, the U.S. Army Corps of Engineers opened two dams to control flooding in the Houston metropolitan area which led to new areas where flood water damaged thousands of homes. Vendors living and working in Houston were unavailable and emergency vendors in nearby Florida, where 6 million residents were under evacuation orders, were bracing for Hurricane Irma and unable to provide services. Client expectations include performing disaster inspections while maintaining timely reporting on all regularly scheduled default inspection and preservation work. Finding available vendors to take on the increase in volume was difficult during the disasters of 2017. While field services providers sourced out of area vendors to fulfil work orders, it was also necessary that these new vendors passed required background checks. While the disaster events of 2017 were not typical, the ability to scale disaster strategies to meet the demand for vendors is vital to maintaining client relationships. When vendors are able to safely, and legally, gain access to areas it can be difficult to determine occupancy. Oftentimes, occupants are temporarily displaced, access is denied, or there is limited ability to view and accurately assess property condition. Depending on the client, inspectors may be asked to perform interior damage inspections and report property assessments that are beyond their expertise. A request for additional information on work orders lengthens the overall time spent at each property. Another cause for delay, as well as, concern for the safety of vendors, is that occupants, under stress, may resist answering questions or simply don’t understand why the inspector is on the property. Finally, disaster areas are subject to utility outages such as power and water and/or a shortage of supplies needed to complete preservation work. Increased volume, unfamiliar territory, vetting new vendors, and problems accessing properties invariably delay results. When there are delays in completing work, the consequences are that required timelines are not met. Following major disaster declarations by FEMA, investor/insurers often issue foreclosure moratoriums to mortgagers in the affected areas. Servicers are asked to suspend legal proceedings and reduce or suspend the collection of mortgage payments. Additionally, servicers may be reimbursed for the cost of inspection services. However, inspection and preservation work orders for assets located both inside and outside of the disaster declared areas must continue to be completed within the 25-30 days service window. If work is not completed within the required timeframe, it is out of compliance and the vendor may not be paid. The lack of flexibility in the guidelines is costing field services providers and vendors in the form of time management and bill backs. Properties in disaster areas can be reconveyed when there are questions as to when damages occurred. Pre-existing damage is sometimes the cause for denying conveyance and penalties can be enforced during the claims process retroactively. Any delay, natural or administrative, puts vendors at financial risk if damage goes unreported and conditions of the asset worsen in the interim. NAMFS and industry leaders continue to engage investor/insurers regarding the lack of flexibility in servicing guidelines and to work toward solutions that are reasonable and responsible. By identifying the challenges of managing workflow during national disasters, the industry can work toward solid solutions. The goal for field services providers is to deliver accurate and timely results that supply loan servicers and investor/insurers with the necessary information they need to make the best decisions about their assets. Creating guidelines agreeable to all stakeholders during a natural disaster will go a long way in managing expectations. Any guideline will need to be flexible enough to match the disaster type, scale, and timeframe. Collectively evaluating what went wrong and what went right before, during and after the extreme weather events of 2017 will help the field services industry develop reasonable solutions that we can quickly execute in the future. The National Association of Mortgage Field Services, Inc. (NAMFS) is the premier trade association for the mortgage field service industry. We are dedicated to working with all entities of the industry from the Government Agencies and investors that set policy to the contractors and inspectors that perform the work. Please send your questions, suggestions, or concerns to admin@namfs.org on this or any other topic affecting our industry.